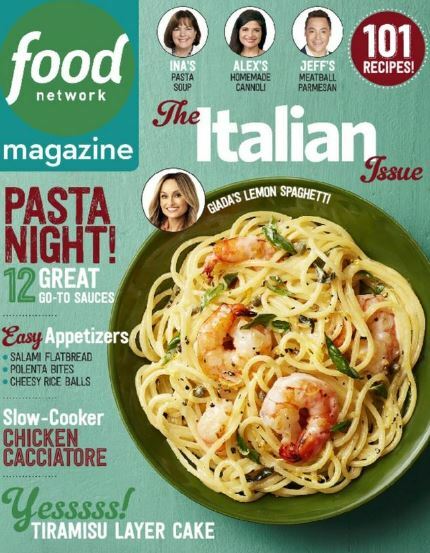 Today you can grab a 1 year subscription to Food Network Magazine for $7.95 per year. You can get up to four years at this price, and to get this deal just enter the code TOTALLYTARGET at checkout. Plus as always with Discount Mags auto renew is optional and shipping is FREE! This deal will run thru 11:59 pm EST April 23rd. About Food Network Magazine: A food lover’s essential handbook, Food Network Magazine, is packed with inside scoops & tips from everyone’s favorite celebrity chefs. Get the latest on new kitchen tools, food products, recipes, & more in this subscription full of articles highlighting the best in food and restaurants! Looking for other magazine deals? You are in luck! Coupon code: TOTALLYTARGET will get you 20% off on almost all other titles at DiscountMags!